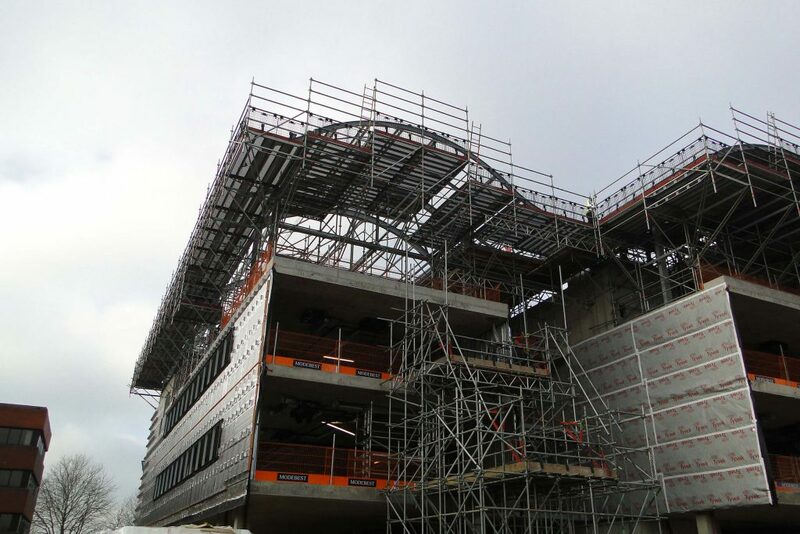 An innovative access solution has been clearly demonstrated in Aylesbury by Pro Access Scaffolding Ltd. with a cantilevered roof access structure built during the construction of a new university teaching block by main contractor Morgan Sindall plc. The design of the building features an overhanging roof which called for the access scaffold to be cantilevered some three metres beyond the perimeter. “The versatility and inherent strength of the scaffold system enabled us to address this requirement in a highly effective way,” adds Mark Chapman.